Readers of US-based Bluff magazine have voted Pokerstars the Best Online Poker Room in Bluff's Annual Readers' Choice Poker Awards. However, given the recent legislation in America, this is not that surprising a result. 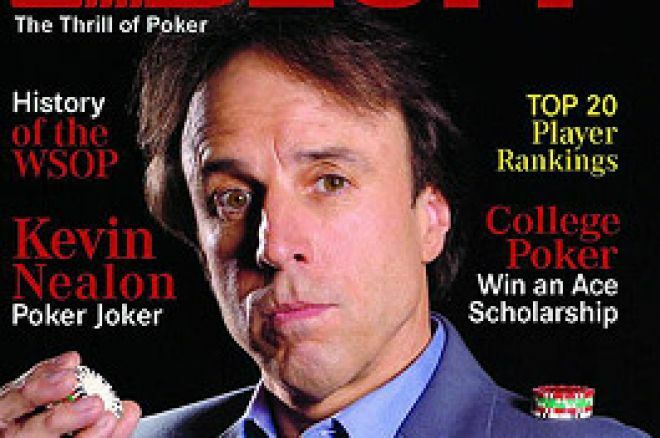 Bluff magazine is chiefly read by Americans (although there are separate publications of Bluff catering for Europe and Australasia), so it is inevitable that the big US-dominated poker rooms, especially those who have allowed US players to carry on playing after the Stateside law changes, would have a free run. Rooms such as Party Poker and 888 Poker, which were obliged to pull out of the US due to their public company status, would not have figured heavily in most US readers' hearts or minds, that much is certain! The main competition for Pokerstars in the voting came from the poker room with the huge array of sponsored stars, Full Tilt Poker. By utilising the visual impact of players such as Phil Ivey, Chris "Jesus" Ferguson, Mike Matusow, Howard Lederer, Gus Hansen and many more, Full Tilt will always be in the reckoning for a gong or two. Bluff's Awards cover a wide range of categories in the world of poker and naturally we are expected to pick up the January issue of the magazine to find out more! Included amongst the categories are "Most Entertaining Poker Player to Watch", "Best Brick-and-Mortar Poker Room" and "Best Poker Analyst". "Bluff magazine continues to be the voice of the poker player and fan worldwide. Now poker players have an equivalent to television's People's Choice Awards. The Bluff Readers' Choice Awards are a true testament to the companies and players who receive the various accolades as 'the best of the best' in more than 20 different poker categories." Regular contributors to Bluff magazine include leading poker players Jennifer Tilly, Michael Craig, Antonio Esfandiari, Phil Laak, Clonie Gowen, Mike Caro, and Annie Duke. Bluff magazine is published by Bluff Media, a company that also produces Bluff Poker Radio in the US, which was the first radio show to broadcast live the World Series of Poker.